As the weather gets cooler and our schedules get busier, we find ourselves looking for hearty, filling dishes that are easy to prepare. 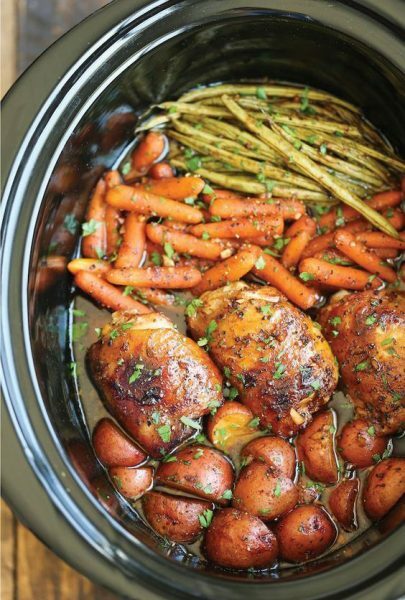 From Beef Bourguignon to Chicken & Dumplings to vegetarian Sweet Potato Stew, these recipes have got you covered. Hone and garlic are a magical combination, and when you can throw it in the crockpot and not have to worry about dinner? Even better. 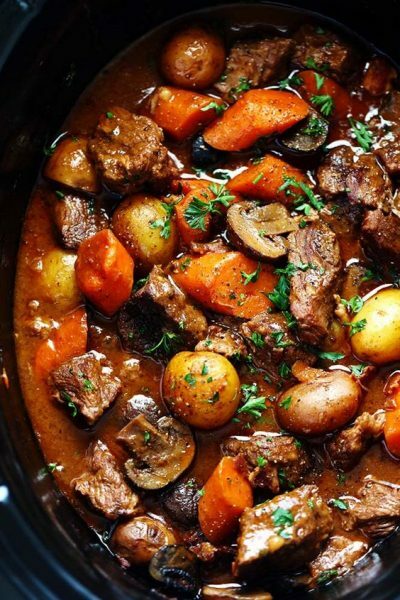 Nothing says comfort like a savory beef stew, and this Beef Bourguignon absolutely fits the bill. Looking for something exotic that won’t require hours in the kitchen? 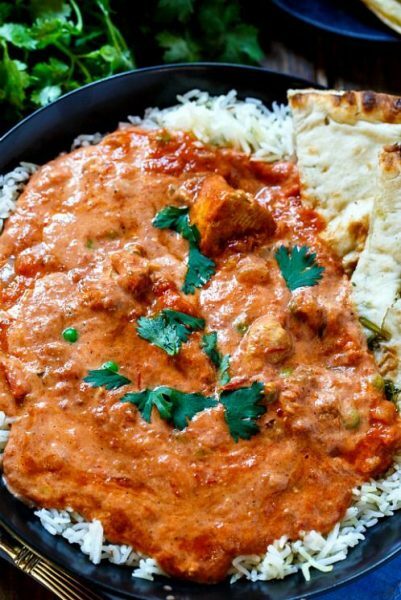 This Chicken Tikka Masala is for you. Just because warm weather is over doesn’t mean you can’t still have barbecue. 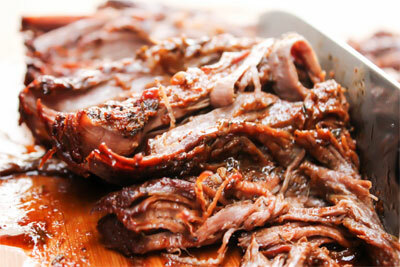 This beef brisket is sure to please. 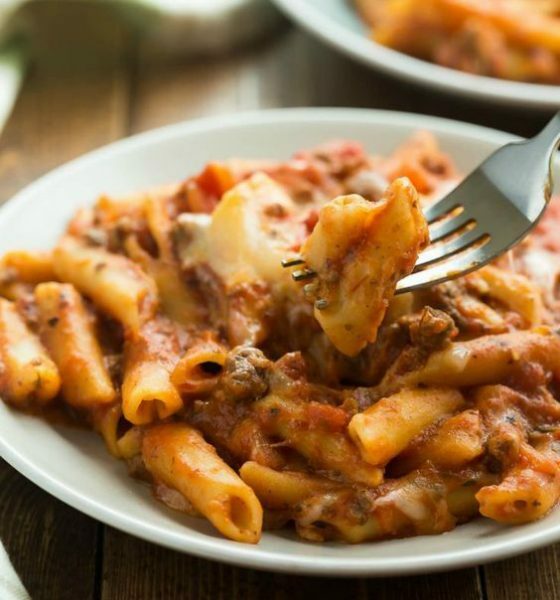 This slow cooked pasta dish is a perfect dinner for those busy winter weeknights. 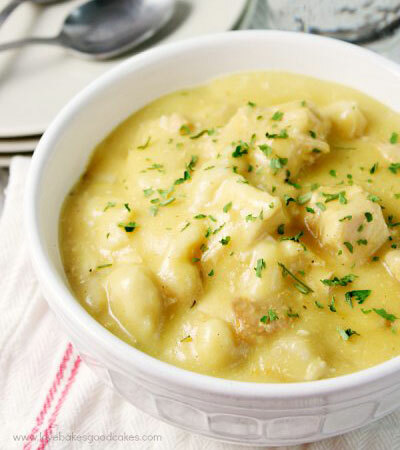 If you’re looking for something satisfying, you’ve found it: chicken and dumplings! 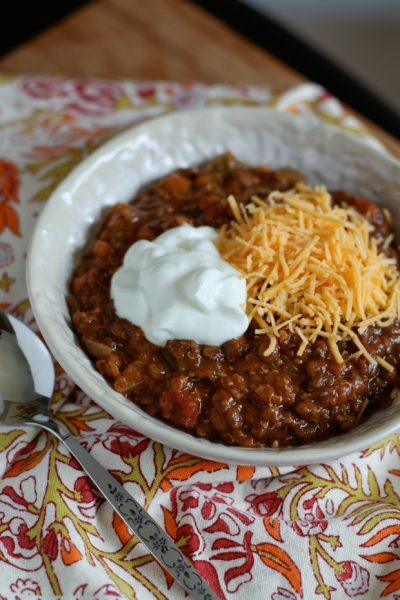 This delicious, meatless chili will fill your tummy and tickle your tastebuds. Sweet potatoes are not only healthy, they’re damned tasty. 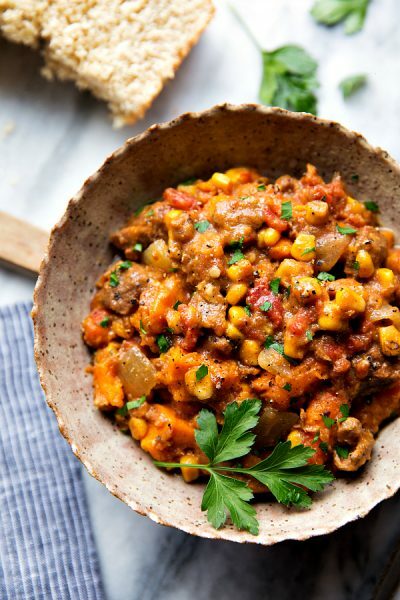 This stew will warm you up and hit the spot.